Detailed resin football trophy in bronze colour finish with silver and gold panelled football. Features ribbon design with a 1in centre as a medal. 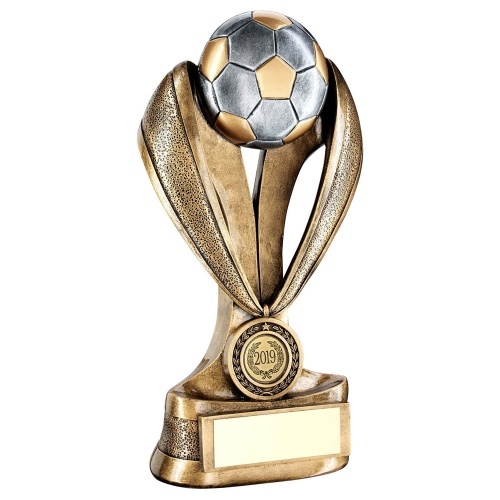 Includes base plaque, and offered with text and/or logo engraving options. Available in four sizes.